You know regret if you have ever sold a fund or stock only to see it rise shortly afterwards. Worse yet is when the fund or stock you purchased to replace the one sold underperforms. Some index funds systematically duplicate these regretful transactions through what is called “Index reconstitution.” As you might suspect, such transactions drag performance down. The widely-tracked Russell index series reconstitutes every June. This year it is Friday June 24, 2016. Index Reconstitution, why do it? Companies grow or decline in size which causes them to no longer fit the definition of the target market segment such as small, mid, or large. Likewise, company valuations can change so they no long fit a value, blend, or growth status. So periodically, index managers add new stocks fitting their specific target segment of the market and remove those that no longer fit. Performance trouble may arise when traders get in front of the “reconstitution trades.” They do because either an index provider announces entering and exiting stocks in advance or the market figures it out because of an index’s well-defined rules. Traders buy those stocks expected or announced to enter the index in advance of reconstitution and sell those exiting. Essentially, the index is buying many entering stocks high and selling many exiting stocks low. The impact can be significant. DFA calculated annual performance would rise approximately 0.5% to 2.2% by simply delaying the transactions required by reconstitution for three months. 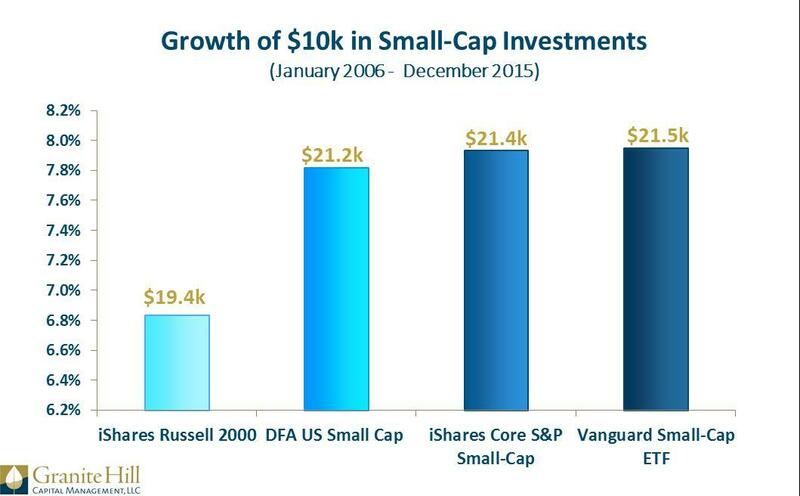 DFA examined the Russell 1000 Value (large-cap value), Russell 2000 (small-cap), and Russell 2000 Value (small-cap value) indexes over January 1990 – June 2015. A 2008 article, Long-Term Impact of Russell 2000 Index Rebalancing, calculated the performance difference at an average 2.2% against a buy and hold small-cap index portfolio over 1979 – 2004. Stocks deleted from the index then went on to outperform and additions, including IPO’s, underperformed. The implication for small cap investors is real. For the 10 years ending in December, the iShares Russell 2000 exchange-traded fund (IWM) returned 6.8%. This ETF tracks the Russell 2000 index. By contrast, the competing iShares Core S&P Small-Cap ETF (IJR) and Vanguard Small-Cap Index ETF (VB), based on different indexes, delivered a 7.9% return over the ten years. The DFA Small-Cap fund (DFSTX) returned 7.8% for the time period. Over ten years, these differences translate into about $2,000. Indexes are not available for direct investment but reveal positive and negative performance over time. Dividends and interest are reinvested but taxes are not considered. Their performance does not reflect the expenses associated with the management of an actual portfolio. Indexing has made huge inroads into funds where managers actively pick stocks. There are sound reasons for this trend. Even so, there are important differences in how index funds are managed. Understanding these differences helps capitalize on their benefits. DFA’s whitepaper, Index Reconstitution: The Price of Tracking, is attached below. It examines the spike in trading volume due to index reconstitution and its effect on performance. 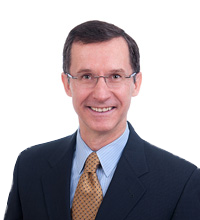 This blog entry is distributed for educational purposes and should not be considered investment, financial, or tax advice. Investment decisions should be based on your personal financial situation. Statements of future expectations, estimates or projections, and other forward-looking statements are based on available information believed to be reliable, but the accuracy of such information cannot be guaranteed. These statements are based on assumptions that may involve known and unknown risks and uncertainties. Past performance is not indicative of future results and no representation is made that any stated results will be replicated. Indexes are not available for direct investment. Their performance does not reflect the expenses associated with the management of an actual portfolio. Copyright © 2016, Granite Hill Capital Management, LLC. Previous articleStock Market Fixated on Crude Oil: Portfolio Changes Needed?